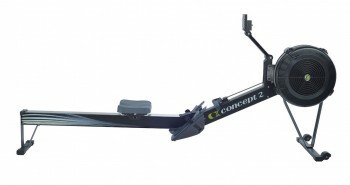 Another Awesome Rower From Concept2! If you are familiar with indoor rowing machines at all, you have probably heard of the Concept2 Model D that I have already reviewed. Its big brother, the Concept2 Model E, is not as well known; it’s a higher-priced rower that aims to deliver an even higher level of performance. It’s difficult to review the Model E without mentioning its predecessor as well, so I have included a short comparison of the two in my review. This is to let you get a clear idea of the differences between them. Are you looking for a rower that will give you a lifelike experience of rowing on the water? 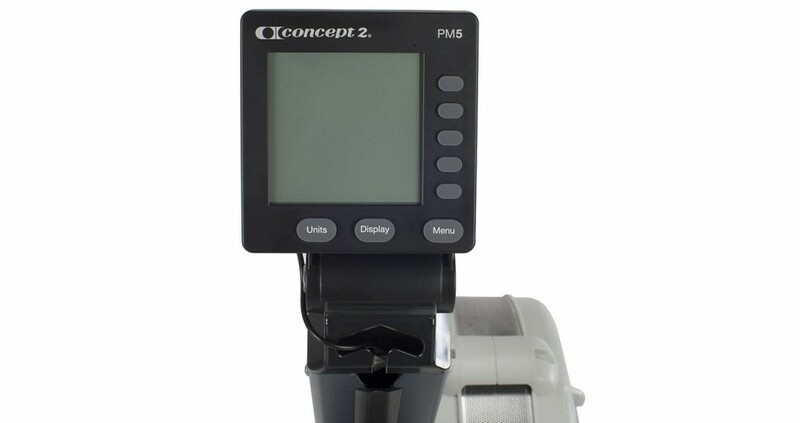 The Concept2’s ability to mimic that ‘on the water’ feeling is one of the things that users of this machine compliment the most. 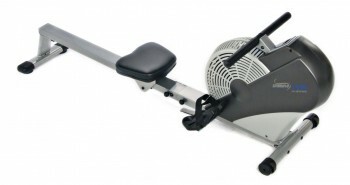 You should get a smooth and fluid rowing motion for the duration on your workout on this rower. The seat is said to glide effortlessly on the monorail and the chain wont snag as long as you periodically wipe down the seat and oil the chain for proper maintenance. Many users of the Model E also commented about how quiet it is. That’s not often said about an air-resistance rower; they are known to be somewhat noisy. A few people did say that there is some amount of noise when during very intense rowing, but no one complained that it was too noisy. You should be able to watch TV while working out and still be able to hear what is going on. The advanced performance monitor on the Concept2 Model E is easily one of its best features. 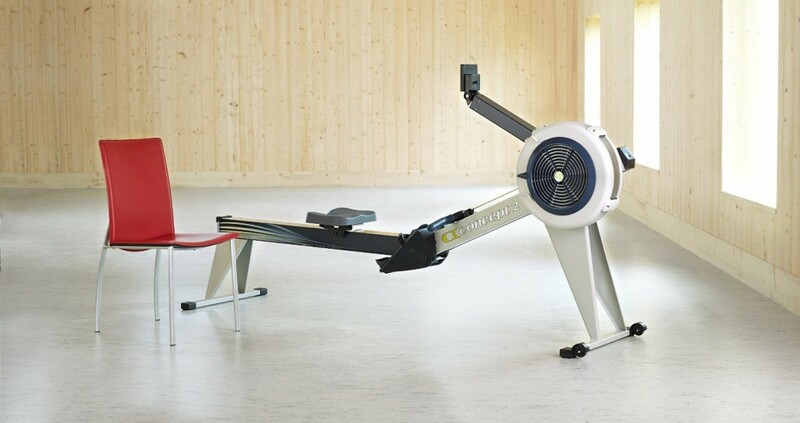 You will have the option to race against a pace boat on this rower and you can even race against your own previously recorded workouts. 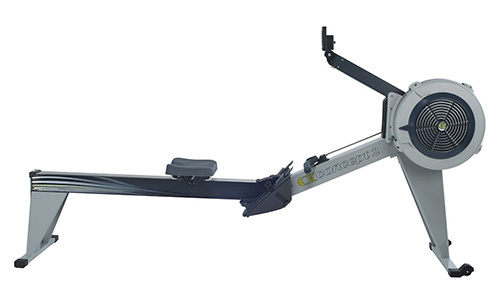 This is sure to spice things up and add a new dimension to your rowing workout. To make your workout an even more enjoyable and interesting experience, there are four games that you can play on the performance monitor. You will have five preset workout programs to choose from. 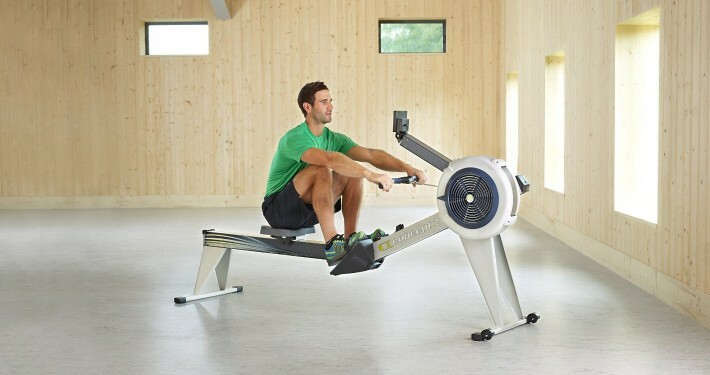 It doesn’t look like it will be possible for you to get bored on this rower; there are just too many options to keep you interested and motivated. Of course you will still be able to get all the usual workout data, such as time, distance, speed and watts from the monitor. You can choose to see all the data on its large screen at one time, a graphic representation of your rowing motion or even how you compare against a pace boat. The included 32K memory card or your own USB flash drive can be used to record workout data for up to five people. One of the first things that I noticed about the Model E is that the seat is higher than you would normally find on most rowers. It was designed that way to make it easier for you to get on and off the machine. This is a great feature for people like me who have knee trouble. To make the Concept2, it was built with a tough aluminium I-beam and its monorail is on a stainless steel track. As if that wasn’t enough the manufacturers also added a power-coated clear topcoat to guarantee that it will last even longer. They used welded steel for the legs, which are both in a one-piece design to make them more stable. To reduce the need for maintenance the steel chain for the flywheel is fully enclosed in its housing. This will also extent the life of the chain. The steel chain itself is plated with nickel to make it even more durable. 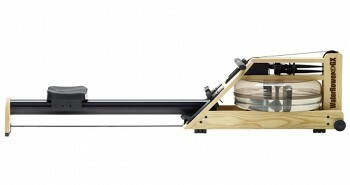 Small but strong casters make it easy for you to move the rower and store it despite its 57-pound weight. I wasn’t able to find many things that users did not like about the Concept2. One think that they did seem to wish was different is its large footprint. 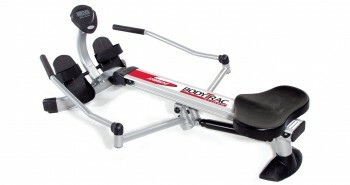 It measures 96 X 24 X 20 inches and therefore you will need a fairly long and wide workout space to use it in. For people like me who live in a small apartment, this is not good news, but I guess if you really want to take advantage of all the good things that this rower has to offer you can always just push the couch out of the way for a few minutes while you workout. The good news is that you can easily fold it away for storage when you are done working out. 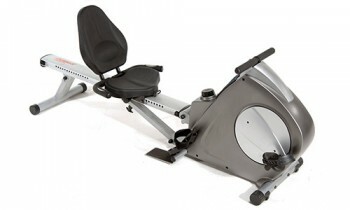 Aside from the difference in price (the Concept2 Model E is more expensive) there are a other few things that separate it from the Model D. The seat is higher, making it easier to mount; it requires less maintenance as the chain is fully enclosed; and the PM4 monitor on the Model E will give you a wider variety of information and options to choose from. You will also find that the monitor arm on the Model E is longer and fixed in its position while the monitor arm on the Model D is shorter but it can be moved up and down or out of the way when you are storing the machine. Dare I say that the Concept2 Model E seems to be worth the price? This rower is in the elite class and it delivers superior performance with its advanced PM4 monitor, smooth and quiet operation and low maintenance. I previously thought, after reviewing the Model D, that if I had the budget I would surely purchase it. Now, after seeing what the Model E has to offer I think it would be a better choice. After all if I had the budget to get this rower, it should also mean that I would have the budget to afford a bigger apartment to put it in, right?